Census Worker - Friend or Foe? I recently read an article in the Chicago Tribune about a family's experience with a census worker. It reminded me of the experience I had last year. While we did mail in our census sheet that came in the mail, there was some bureaucratic mix up and they sent a worker to our house. I need to say up front that I understand the need for a National Census. There are political as well as financial consequences attached to the census that seriously impact communities and citizens of this great country. I also think that some of the questions on the census are "politically" motivated and unnecessary. My "trust" in the "Federal Law" sited on the census sheet that protects our privacy is a bit suspect when the Federal Government appears to pick and choose which Federal Laws it decides to enforce. This story is really more about "Character" and "Competence" of those dispatched to collect the data as well as those who provide their training. I hope this post can assist those burdened with being raised by an addicted parent to understand some of the characteristics of Children of Alcoholics. It is only if we are unafraid of the truth, will we find it. 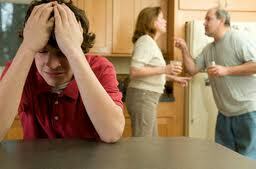 Alcoholism in the home has long-lasting effects. Children of alcoholics often learn to cope with an unhappy childhood in ways that causes problems for them later in life. If you were raised by a parent who struggles with substance abuse, learning how alcoholism affected your past can help you build a better future. The breeze blew briskly against my face as the tree limbs swirled in the ever changing currents of air. There was a group of us walking down the street in Philadelphia which consisted of Kena, Andrea, Erin, Chad, Matt, Shawn and myself. 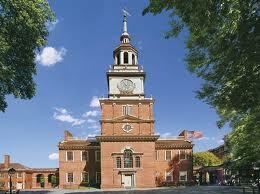 We were headed to Independence Hall in the City of Brotherly Love. It was a warm summer morning in Eugene, Oregon. At 5 years old, I was hoping to spend the day on my bicycle. 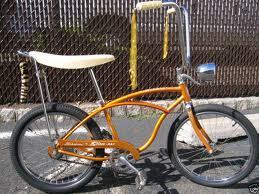 The gold Schwinn Stingray with the “Slick” rear tire was something to behold. I went around to the back of the house to get my bike. As I approached, my heart sunk. The rear tire on the bike was flat. I went back in the house to ask mom if I could walk my bike down to the gas station on the corner of 32nd Ave and Hilliard Street. There was a nice guy that worked there and he often helped me put air in my tires.